Nothing else is expected of the Ukrainian military. They have long ago written off the population of Donbass. Thus, the head of the Gorlovka administration, Ivan Prikhodko, commented on the provocation of the AFU in the sky over Donetsk on the night from June 1st to June 2nd. ‘They have nothing sacred. They had once killed these children, and yesterday they shot them again, opening fire on the lanterns symbolizing the children’s souls. However, nothing surprising or good can be expected from the AFU. They did not shoot at their children. They are not their children. They have long ago “written off” the entire population of Donbass. They need only the territory,’ said Prikhodko. On the night from June 1st to 2nd, the Ukrainian military violated the ceasefire. With machine guns and tracer bullets, they all night scoffed at the memory of the children – victims of the hostilities in Donbass. 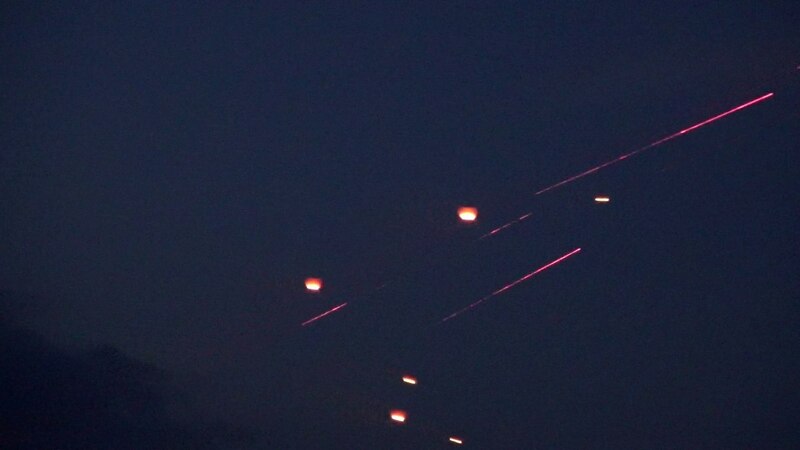 When the residents of the DPR released lanterns into the night, as symbols of the souls of the killed children, the AFU violated the ceasefire. This was reported by soldiers of the Donetsk People’s Republic, who were in positions.